Peter Holmes is one of Canada’s most respected and sought-after course designers. He has designed tracks at some of the biggest competition venues in North America, as well as Australia, New Zealand, and England. At the moment, he predominantly works at Spruce Meadows and Thunderbird Show Park, which are located closer to his Cowichan Bay, BC, home. 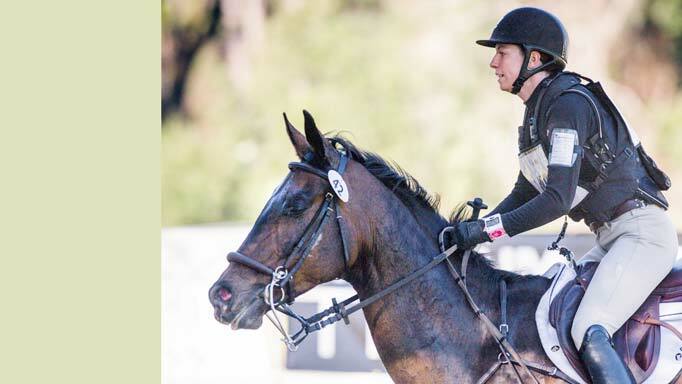 His start in course design was born of necessity; in his late teens while competing and coaching at horse shows, he was often called upon to load and unload the jump trailer and help set up the course. After years of juggling professions, he decided to focus solely on course design in the mid-90’s. Holmes suggests using basic patterns and changing the jump setup in the ring once a week to keep things fresh. Even at home, make sure jumps are outfitted with safety cups and all jump equipment is in good condition. 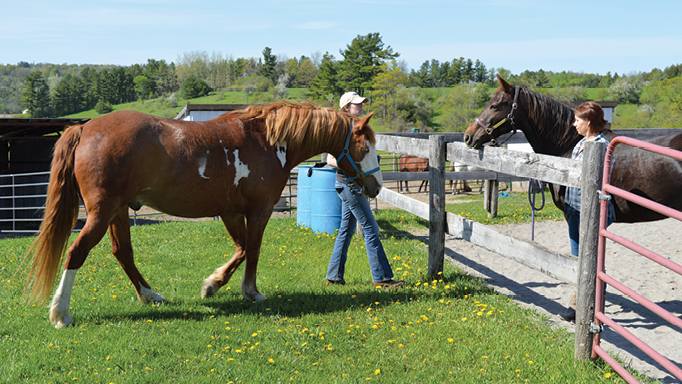 Regular attention to your arena footing is also necessary. He explains that a wide variety of tests that may be encountered at shows can be schooled using an efficient use of arena space. The route of a competition course can be visualized as a road or path; the road needs to have smooth turns, almost as though you were to drive a truck and trailer through it. Optional shorter turns are more difficult, but still need to be executed as a smooth route. “This aspect of course design encourages an even rhythm in the movement of the horse, which is a focus of basic training. Jerky turns will encourage rough riding,” he explains. “On your course at home, you want the “road” – the approach and landing – to each jump to be clear and not have other jumps in the way on that road. Generally, any pattern where the jumps are placed like the hands of a clock with an hour, minute, and second hand in varying angles will work well. 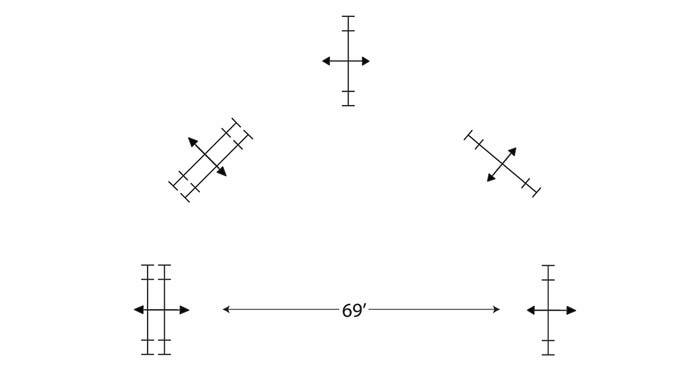 Bending lines will accommodate many stride lengths if you have several horses of different stride lengths using the course.” Patterns like figure eights are useful, as well as the serpentine-type track, with three jumps set on an “S” route (see diagrams, left). Holmes also suggests maximizing arena space and doubling exercise options by setting jumps that are safe to be taken in both directions, such as square oxers with good groundlines. 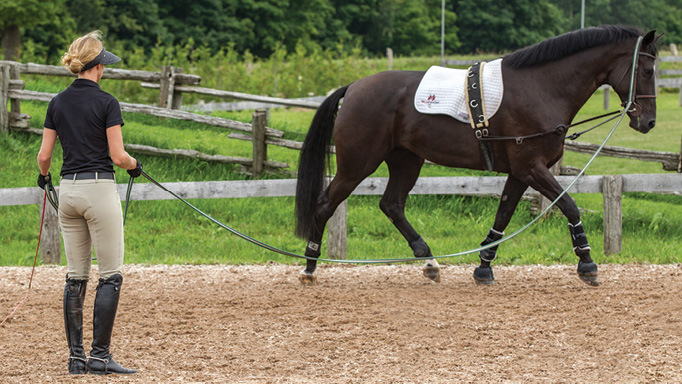 Holmes commonly employs tests in the equitation and jumper rings that safely weed out the best-prepared from those who may benefit from some work on the basics. Repeatedly popping up is the rider’s ability stay balanced through turns while keeping pace. “I like to challenge the rider’s steering and pace controls. 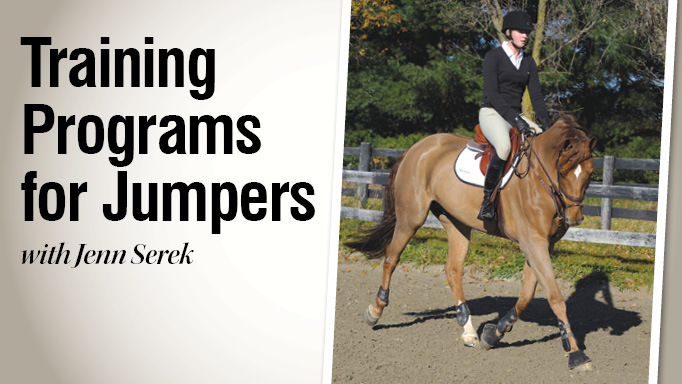 The ability to land in control from a jump and be ready to turn is the mark of intermediate-level jumping,” he explains. “Cutting corners and drifting wide on turns often leads to missed distances, so track options where riders in control may take shorter routes is a standard test. It should be noted that fluid jumps taken out of stride and in balance are better than a risky missed distance off a short turn. Sometimes the handy inside turn is not the best option and riders need to use their judgement as to what is achievable for themselves.” Again, working over jumps on a serpentine or figure eight pattern is useful to improve these skills. Arrive at the horse show well-prepared for the task at hand; if the homework has been done, a safe, enjoyable and hopefully successful competition will likely be the result if you understand the challenges set out in the course.